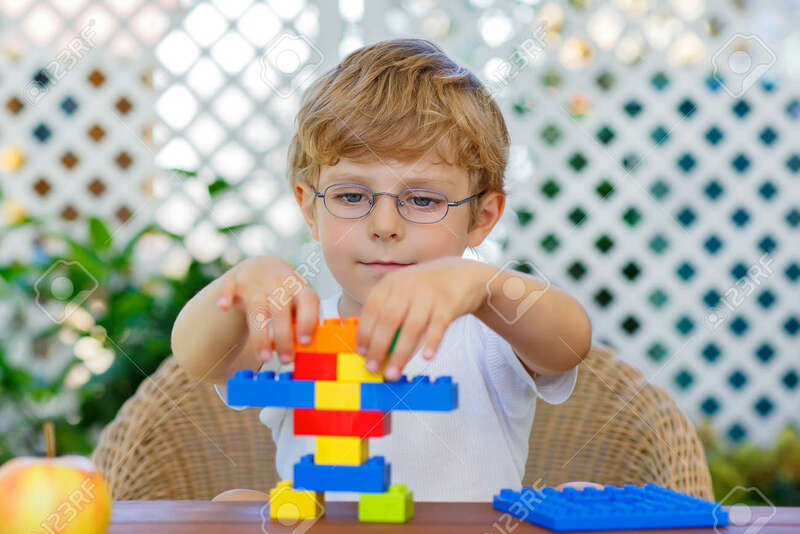 Adorable Little Blond Kid With Glasses Playing With Lots Of Colorful Plastic Blocks Indoor. Active Child Having Fun With Building And Creating. Creative Leisure For Children. Royalty Free Fotografie A Reklamní Fotografie. Image 48656684. Reklamní fotografie - Adorable little blond kid with glasses playing with lots of colorful plastic blocks indoor. Active child having fun with building and creating. Creative Leisure for children. Adorable little blond kid with glasses playing with lots of colorful plastic blocks indoor. Active child having fun with building and creating. Creative Leisure for children.